This entry was posted in Halloween, Safety Tips on October 31, 2012 by yourfriends. Dog owners looking for a new set of wheels can take heart; the American Automobile Association has taken the time to pick a handful of vehicles best suited to moving your furry friend from one place to another. With around 45 million households across the country boasting at least one dog in the family, it should be no surprise that the ability to conveniently and safely move a pet plays a big role in which vehicle consumers choose to buy. A total of 11 SUVs, crossovers and wagons have made the AAA list, each divided into categories like luxury, active lifestyle and efficient and fun. While we weren’t surprised to see cars like the Subaru Forester and Honda Element make the cut, others, like the BMW 3 Series Touring and the ever fun-to-fling Mazda3 five-door were vehicles we wouldn’t have necessarily thought of as doggie rides. 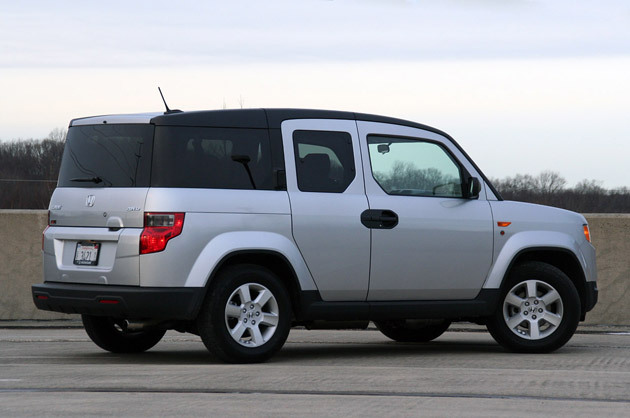 Thrifty buys like the Kia Soul and Nissan Cube found particular favor on the AAA list, thanks in part to their ability to serve up plenty of space with their rear seats folded down. We still say a Cadillac CTS-V Sport Wagon would do just fine – at least for a low-profile dog like a dachshund or beagle. This entry was posted in AAA, Pet travel on October 24, 2012 by yourfriends. The American English Coonhound evolved from Virginia Hounds, descendants of English Foxhounds. Originally these hounds were used to hunt fox by day and raccoons by night and were named the English Fox and Coonhound. Today’s American English Coonhound is a wide-ranging hunter that possesses tremendous speed and endurance, and excellent voice. A strong and graceful athlete, he needs regular exercise to stay in peak shape. The breed’s hard, protective coat is of medium length and can be red and white ticked, blue and white ticked, tri-colored with ticking, red and white, and white and black. The breed is pleasant, alert, confident and sociable with both humans and dogs. The Norwegian Lundehund â€“ or Puffin Dog — spent centuries on the rocky cliffs and high fields of arctic Norway hunting and retrieving puffin birds, an important meat and feather crop to local farmers. Uniquely equipped for their task, this little Spitz-type dog has at least six toes on each foot for stability in the near vertical environs where puffins nest. 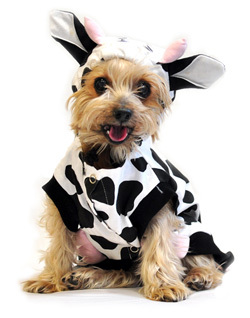 A flexible skeletal structure enables the dog to squirm out of tight spots or spread-eagle to prevent slips and falls. Lundehunds have a protective double coat, reddish-brown, often with white collar and feet and a white tip on the tail. Today puffin birds are protected and the puffin dog has taken up its new role as an alert, cheerful and somewhat mischievous companion. The Xoloitzcuintli – “show-low” as it is commonly called – is the national dog of Mexico. Previously known as the Mexican Hairless, it comes in three sizes as well as a coated version – seen in the show ring only in the US and Canada. These dogs descend from hairless dogs prized by the Aztecs and revered as guardians of the dead. Over 400 years later, these dogs were still to be found in the Mexican jungles. Shaped by the environment rather than by man, their keen intelligence, trainability and natural cleanliness have made them a unique and valued pet today. This entry was posted in Dog Show, New Breeds, Westminster on October 17, 2012 by yourfriends. As beloved four legged friends, pets are beloved members of our family, and often a top priority. The same should be for their healthcare. The National Association of Veterinary Technicians in America, Inc., (NAVTA) has proclaimed Oct. 14 to 20, 2012, to be the 20th annual National Veterinary Technician Week. Since 1993, this annual event recognizes veterinary technicians for their contributions in pet healthcare, as well as veterinarians, assistants, practice managers and others involved in this care. “Technicians are an integral part of the pet healthcare team, and play an important role in veterinary care, to both the client and their pets,” said Catherine Holly, CVT, president of NAVTA. “It’s important that we take the time to celebrate technicians. Not only do they provide top-notch care to our pets, but also put in long hours as researchers, and are oftentimes specialized. We just want people to know how valuable technicians actually are.” This year, Hill’s Pet Nutrition, a company dedicated to helping pets reach their full potential through quality nutrition and healthcare, is sponsoring the week-long celebration. 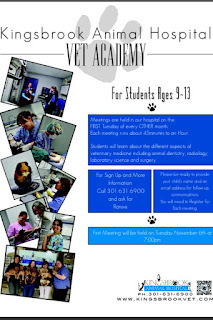 As a member of the veterinary healthcare team, veterinary technicians are educated in the latest medical advances and skilled at working alongside veterinarians to give pets the best medical care possible. They work closely with the veterinarians, veterinary assistants, practice managers, patients, and owners to provide the essential link with all involved in the care process. 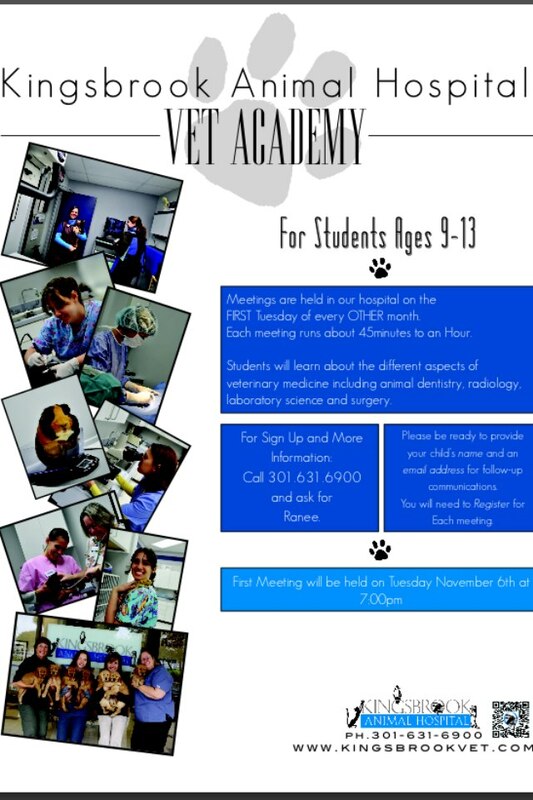 NAVTA is a nonprofit organization that represents and promotes the veterinary technician profession. NAVTA provides direction, education, support and coordination for its members. Incorporated in 1981, NAVTA is the national organization devoted exclusively to developing and enhancing the profession of veterinary technology. Pets give us unconditional love and veterinary technicians give us peace of mind. For this reason they should be celebrated during National Veterinary Technician Week. To find more information about NAVTA and this special week, visit http://www.navta.net. This entry was posted in NAVTA, NVTW on October 14, 2012 by yourfriends. JUPITER ISLAND — Simon Bilts said he “almost did a double take” when he saw it: a two-headed loggerhead sea turtle hatchling. On Tuesday morning, the biologist with Jensen Beach-based Ecological Associates Inc., was on the northern end of Jupiter Island excavating sea turtle nests that had hatched three days earlier to determine the reproductive success rate. It’s not unusual for a straggling hatchling or two to be found among the empty and unhatched egg shells. The hatchlings Bilts uncovered soon after he started searching nests at 6 a.m. were escorted to the ocean. The ones found after 9 a.m., in accordance with Florida Fish and Wildlife Conservation Commission guidelines, were put in a bucket with moist sand and covered with a towel for release after nightfall. Bilts had several hatchlings in the bucket and was driving an all-terrain vehicle to the next nest when the towel blew off. He was putting the towel back on when he noticed something unusual about one of the hatchlings. Bilts brought all the post-9 a.m. hatchlings, including the two-headed rarity, back to the Ecological Associates lab. The day spent in a cool, dark area of the lab gave scientists there an opportunity to examine the rare find. Otherwise, the hatchling was active and able to crawl with both heads moving independently. That night, Bilts released the hatchlings near Jensen Beach. Only about one in 5,000 hatchlings lives to adulthood, mostly because of predators both on the beach and in the water. Having two heads would seem to have both advantages and disadvantages for young sea turtles. Unfortunately, said Niki Desjardin, a senior scientist with Ecological Associates who’s been studying sea turtles for 11 years, two heads are not better than one. 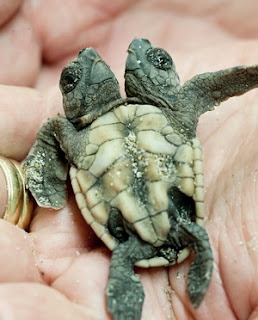 In late July, a two-headed loggerhead hatchling was found on the beach at the Gumbo Limbo Nature Center in Boca Raton. Rusenko said two-headed sea turtle hatchlings are found “every two or three years” at the center, and a two-headed embryo discovered several years ago was found to have a high level of pesticides in its body. The turtle found in July died of pneumonia, he said, because when one head came up to breathe, the other took on water in the lungs they shared. Of the three species of sea turtles that regularly nest on Treasure Coast beaches, loggerheads are the most common, but still are listed as a threatened species. Sea turtle nesting season began March 1 and runs until mid-September. Nearly 10,000 loggerhead nests were tallied in 2011 by Ecological Associates, which monitors sea turtles nests in southern St. Lucie County, northern Martin County and northern Indian River County, and by the coastal engineering division of the Indian River County Public Works Department, which monitors beaches in the southern half of that county. In the same areas, 1,652 green turtle nests and 558 leatherback nests were counted in 2011. This entry was posted in two headed turtle on October 10, 2012 by yourfriends. 1) The injustice is local and concrete and efforts are immediately rewarded. 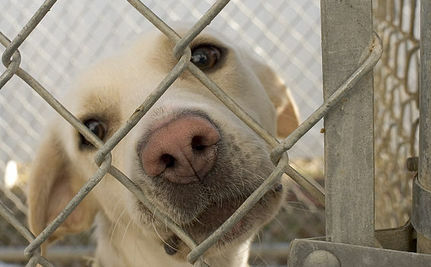 It’s easy to visit a local animal shelter and see a lot of lonely animals looking for homes. The immediacy of the concern provides an emotional punch that more abstract issues may not have. Though we won’t completely solve the problem any time soon, any student could potentially help a single animal by encouraging a friend or family member to adopt from a shelter instead of a pet store, or many animals by volunteering at the shelter. 2) The underlying factors are global and similar to other social justice issues in their origins. Everything from depletion of fishing stocks to anthropogenic climate change to the blood diamond trade is significantly affected by consumer behavior. We often cast the most far-reaching votes with our wallets. And you’d be hard-pressed to find a more immediate example of the effects of ignorant consumer behavior than the histories of the abandoned dogs in an animal shelter. You see, it’s all about supply and demand. As long as there is a market for the newest, trendiest puppies, there will be puppy mills churning them out. In the wake of releases and re-releases of Disney’s animated and live-action 101 Dalmatians films, tremendous numbers of people started buying Dalmatians, often impulsively and with little knowledge of the breed. As a result there is a Dalmatian over-population problem even today, since the sort of fickle buyers who adopt trendy puppies on a whim are the same sort to abandon them as adults, often with bad habits from lack of training or emotional issues due to poor treatment. Even in a perfect world where every new dog owner made a life-long commitment to their new pets, there would still be an over-population problem. When greedy puppy-millers start forcing dogs to be continuously pregnant in order to produce as many “in-demand” puppies in as short a time as possible, there will inevitably be a surplus as demand drops off. And there’s always some flavor of the week. A couple years ago, it was all about the puggles, as several Hollywood celebrities started showing theirs off. 3) The solutions to the problem are both individual and collective. Once you understand the problem, the solution is obvious. Clearly some types of adoption ease the problem of animal homelessness, and some exacerbate it. Buying either purebred or designer dog mixes from pet stores or backyard breeders just results in more and more dogs being produced to meet the demand. Since a not-insignificant fraction of these dogs will later be given up by their owners, faddish dog-purchases only add to the burden of already over-crowded shelters by increasing the over all population of unwanted dogs. It’s not difficult for would-be pet-owners to see how the adoption choices they make can either mitigate or add to the problem of unwanted pets (not to mention the problem of animal mistreatment that occurs in puppy mill operations). If no one supported puppy mills, they would quickly cease to exist. On an individual level, any one of us planning on adopting has the choice of making things just a little bit better or a little bit worse. Once someone is aware of the consumer power they wield, it’s an easy choice. As animal advocates, we can have a wider impact by educating other prospective pet owners so they can also make an informed choice. Through public education and outreach efforts (or partnerships with existing efforts by local shelters and organizations like The Humane Society), individual students and groups can do even more good. Regular events like adoption drives can always use more volunteer help and word-of-mouth advertising. Being an informed consumer is probably at least as important as being an informed citizen. The politico-economic power average people wield is collectively enormous. Having learned a bit about consumer power and the value of public outreach, there are plenty of other issues that young people can take on with those same tools. How do we encourage major international companies to take their social and environmental responsibilities seriously? Reward the best ones with your business, boycott the worst. Educate other consumers to do the same. This entry was posted in Pet Ownership, Social Justice on October 3, 2012 by yourfriends.